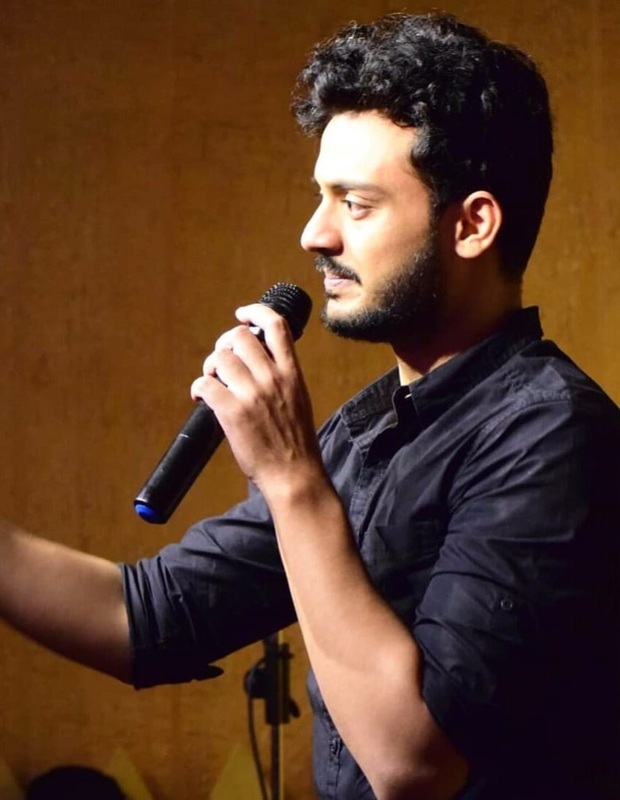 Corporate slave by the day, comic by the night, this 25-year-old peppy comedian from Bokaro, Rishabh Kanishka didn’t choose a clichéd life. Up and coming in the Bengaluru circuit, he is a part of Suno Bey, a comedy group involved in making people laugh. 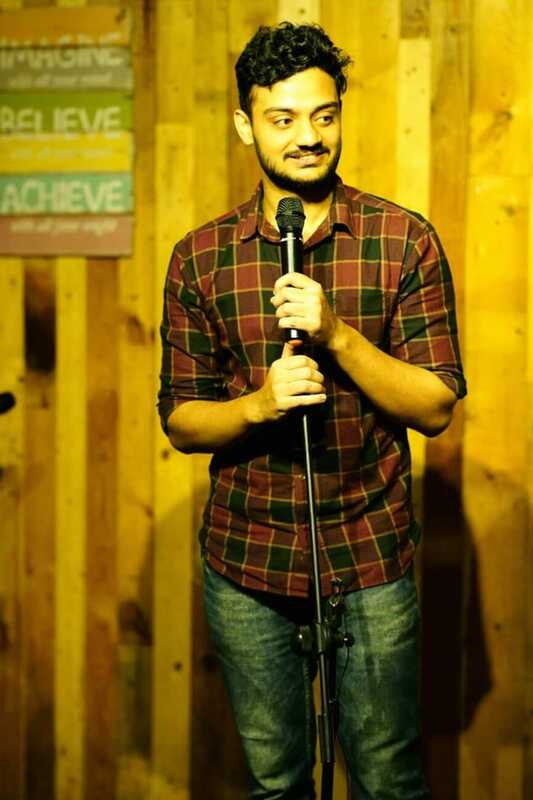 Humour Sapiens got into a tête-à-tête with Rishabh Kanishka, who sure holds the capability to make it big! How did you develop interest in comedy? When did you decide to pursue it as a stand-up comic? I have been an introvert trapped in the body of an extrovert. Back in school, I used to be that naughty kid of the class, who had an expert yet funny opinion on every thing happening in the classroom. Often tagged as the funny kid amid friends, I always had that funniness inside wanting to come out wherever it saw the opportunity. To top that funny side of mine, I was a state-level basketball player. However, things changed after 10th standard, seriousness came into life, subduing the funniness. After entering the engineering college, and having some time at hand, a friend and I created two videos. One out of those was on girls reacting to friend requests on social media. It happened to be quite raw and was apparently liked by all in my college. This motivated us to create a second one, which was well thought than the previous video and shot in a better manner as well. This video too was loved by most. Back then, stand-up comedy wasn’t a career, this art form was visible only in hasya kavi sammelans (poetry meets). But when I came to Bangalore, seeds were sowed when a friend showed me Russel Peters videos. And looking at him made me feel, I could do that too. When I look back, I laugh at my audacity to think that I could pull of acts like Russel Peters. Soon enough, I got engrossed into this art. It was in 2017 that I started giving it a serious thought, and started watching comedy properly in order to understand the nitty-gritties of the art. I realized, being fun and funny are two different things. Being a fun person sitting at the back bench in a classroom is absolutely different than being funny while standing in front of a room full of spectators. I decided to stop being a procrastinator and write something funny, but I needed an audience to test my content. Having written two jokes, which still work well for me, I decided to perform at my first open mic at the Jagriti Theatre. With shaky legs and sweaty palms, I approached the mic, but by the time my turn came, only a handful people were left. It goes with saying, I bombed. The very next day, I joined the comedy workshop, and after a few weeks, the improvement was pretty much visible. In this process, what started as an interest, became something I loved doing. Thereafter, I did several shows at events hosted by The Orange Octopus. And performed for a larger audience of close to 40. Since then, I am a regular at stand-up open mics and associated with Suno Bey, a comedy group. How did you meet your team from Suno Bey? I met my team at the workshop I attended. The workshop was led by Ram, and that was where I got a chance to meet like-minded people, people who didn’t just think it was cool but were passionate about this art form as well. These people were genuinely interested in comedy. And we hit instantly! Resultant, Suno Bey! Suno Bey does free shows. Don’t you think that makes things difficult for those who earn a living through stand-up? We started off at the Cubbon park, crowd sourcing the audience. We narrate our jokes in front of them in order to get an idea about the joke we have written. There is one thing that I have learnt, ‘Never test your content with friends, but with strangers’, for your friends know who you are and where the joke is coming from. While a complete stranger who doesn’t have a background of that story will be able to give you a reality check. So, what we perform at Cubbon is free because it is for testing waters, while the rest of our comedy events are Open Mics, and thus Free! We realize that it was a mistake at our end to have called our open mics as shows. Now, we are wary about not mentioning our events as shows and have started giving spots to other stand-up comics as well. The intent is not to spoil the scene for those pursuing it full time, but to encourage more people to attend our events. It has been cool, full of learnings about the length of the spot, maintaining the sequence of the jokes and the way stories are to be narrated. These things affect the laughter. However, one year is a too small a period to restrict the learnings in the journey. There’s a long road to travel and a lot to be learnt. Bombing is fine, you’ll bomb more than you kill. One of the worst bombing moments has been at FoxTrot. Event was in a weekday and no one seemed interested. I was confident that I will go on the stage and kill it, but unfortunately, no one was interested even then. Though I don’t think my set was bad at all, because there was one group who was aware of someone talking with a mic in hand. Regrettably, in the middle of my act, they too left. I watched them leaving and in an impulse decided to get off the stage. Another learning here was; you have to be so good that the audience listens. You cannot really blame the audience for being disinterested. Any encounters with annoying audience members? I encourage audience interaction; I do get replies from spectators. But as far as annoying people are concerned who keep on interfering and have an expert opinion on whatever is being said on the stage. These people think they are funnier than the person holding the mic. So, I invite such people on stage to share their funniness or politely tell them that they are in a wrong show. It’s not really a debate show. This mostly has been working for me till now.